California manufacture Gutterglove Incorporated announces that their proprietary technology incorporated into a heated gutter guard has received a US Patent. The patent for their deicing invention was issued on a cold winter day on December 20, 2011. This heated gutter guard is designed to melt icicles, snow loads and ice dams on a gutter system, as well as filters out leaves, pine needles and roof sand grit so ice problems and gutter cleaning are no longer an issue. This unique design incorporates a self-regulating heat cable that installs in a built in channel in the gutter guard itself. When turned on, it radiates heat for melting ice in the gutter and on itself and prevents icicles and snow loads from forming on the gutter. 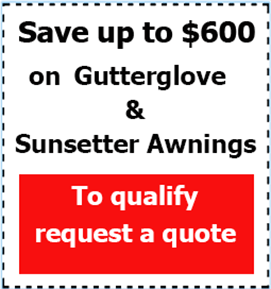 Three time patent holder Robert Lenney, inventor of Gutterglove Ice Melting Heated Panels, says that his heated gutter guard is unique and can eliminate icicle fatalities. “Since ice can’t form on your gutters when Ice Melting Heated Panels is installed, the liabilities of falling icicles are virtually eliminated,” says Lenney. Ice Melting Heated Panels is also a Green eco friendly product because it requires only one heat cable to do the job whereas other heated gutter guards still require two to three cables. The support frame for Ice Melting Heated Panels is made from type 6063 anodized aluminum and supports a fine type 316 stainless steel micro-mesh for filtering out organic leaves and pine needles from the gutter. With Ice Melting Heated Panels, you can also perform snow harvesting by collecting the melted snow into a rain harvesting system. Your gutter allows the melted snow to flow to your rainwater storage tanks which can be used later for a variety of water uses such as watering your plants, washing your car or watering the lawn. The manufacturing company continues to sore in sales with a 60% increase in 2011 over 2010, and a similar huge increase from 2010 over 2009. With the continued growth in sales of this magnitude, cash is always in demand to manufacture the product. They are now seeking lending institutions or Angel investors who can help with manufacturing product to meet the increasing demands of its customers throughout North America.